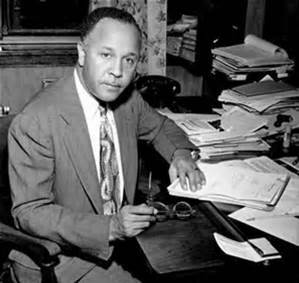 Percy Lavon Julian (April 11, 1899 – April 19, 1975) was a renowned research chemist and a pioneer in the chemical synthesis of medicinal drugs from plants. He was the first to synthesize the natural product physostigmine, and a pioneer in the industrial large-scale chemical synthesis of the human hormones progesterone and testosterone from plant sterols such as stigmasterol and sitosterol. His work laid the foundation for the steroid drug industry’s production of cortisone, other corticosteroids, and birth control pills. Julian attended elementary school in Birmingham and moved on to Montgomery, Alabama where he attended high school at the State Normal School for Negroes. Upon graduation in 1916, Julian applied to and was accepted into DePauw University in Greencastle, Indiana, becoming a member of the Sigma Xi honorary society as well as a Phi Beta Kappa member and was selected as the class valedictorian. He also attended Harvard University in Cambridge, Massachusetts, finishing at the top of his class and receiving a Master’s Degree in 1923 and went onto receive his Ph.D at the University of Vienna, Austria in 1931. After college Julian taught chemistry at Fisk University, West Virginia State College for Negroes, Howard University, and DePauw University. He later started his own company to synthesize steroid intermediates from wild Mexican yam. His work helped greatly reduce the cost of steroid intermediates to large multinational pharmaceutical companies, helping to significantly expand the use of several important drugs. Julian received more than 130 chemical patents. 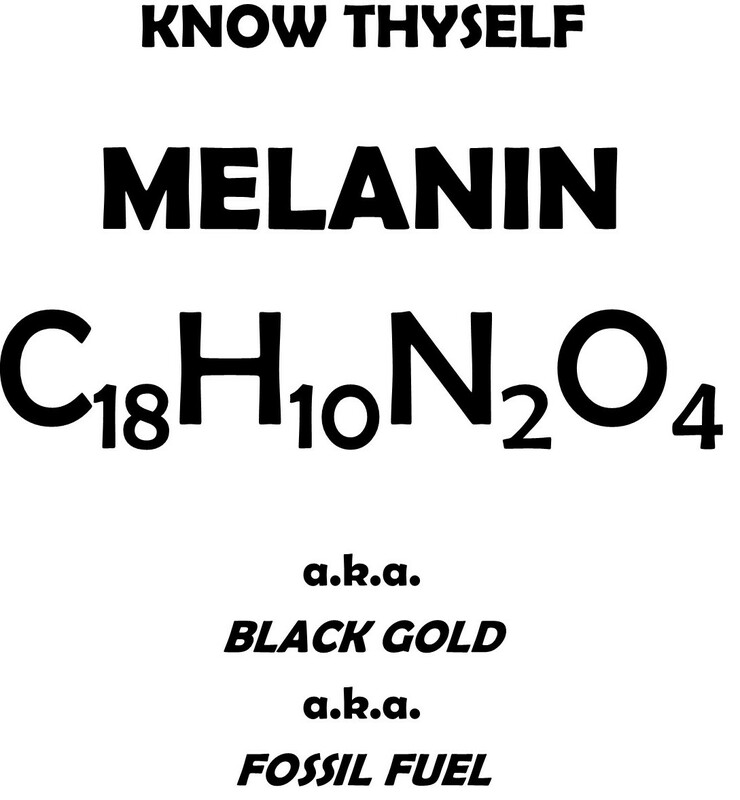 He was one of the first African Americans to receive a doctorate in chemistry. He was the first African-American chemist inducted into the National Academy of Sciences, and the second African-American scientist inducted (behind David Blackwell) from any field. Neil deGrasse Tyson, (Born October 5, 1958) is an American astrophysicist, cosmologist, author, and science communicator. Since 1996, he has been the Frederick P. Rose Director of the Hayden Planetarium at the Rose Center for Earth and Space in New York City. The center is part of the American Museum of Natural History, where Tyson founded the Department of Astrophysics in 1997 and has been a research associate in the department since 2003. Born in New York City, Tyson became interested in astronomy at the age of nine after a visit to the Hayden Planetarium. After graduating from the Bronx High School of Science, where he was editor-in-chief of the Physical Science Journal, he completed a bachelor’s degree in physics at Harvard University in 1980. After receiving a master’s degree in astronomy at the University of Texas at Austin in 1983, he earned his M.Phil. (1989) and Ph.D. (1991) in astrophysics at Columbia University. For the next three years, he was a postdoctoral research associate at Princeton University, and in 1994, he joined the Hayden Planetarium as a staff scientist and the Princeton faculty as a visiting research scientist and lecturer. In 1996, he became director of the planetarium and oversaw its $210-million reconstruction project, which was completed in 2000. From 1995 to 2005, Tyson wrote monthly essays in the “Universe” column for Natural History magazine, some of which were published in his book Death by Black Hole(2007). During the same period, he wrote a monthly column in Star Date magazine, answering questions about the universe under the pen name “Merlin”. Material from the column appeared in his books Merlin’s Tour of the Universe (1998) and Just Visiting This Planet (1998). Tyson served on a 2001 government commission on the future of the U.S. aerospace industry, and on the 2004 Moon, Mars and Beyond commission. He was awarded the NASA Distinguished Public Service Medal in the same year. From 2006 to 2011, he hosted the television show NOVA ScienceNow on PBS. Since 2009, he has hosted the weekly podcast Star Talk. In 2014, he hosted the television series Cosmos: A Spacetime Odyssey, a reboot of Carl Sagan’s 1980 series Cosmos: A Personal Voyage. The U.S. National Academy of Sciences awarded Tyson the Public Welfare Medal in 2015 for his “extraordinary role in exciting the public about the wonders of science”. Tyson is the recipient of nineteen honorary doctorates and the NASA Distinguished Public Service Medal, the highest award given by NASA to a non-government citizen. His contributions to the public appreciation of the cosmos have been recognized by the International Astronomical Union in their official naming of asteroid 13123 Tyson. 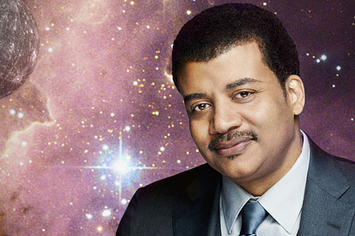 On the lighter side, Tyson was voted Sexiest Astrophysicist Alive by People Magazine in 2000. Tyson lives in Lower Manhattan with his wife Alice Young, a former IT manager with Bloomberg Financial Markets. They have two children: Miranda and Travis. Tyson met his wife in a physics class at the University of Texas at Austin. They married in 1988 and named their first child Miranda after the smallest of Uranus’ five major moons. Tyson is a fine-wine enthusiast whose collection was featured in the May 2000 issue of the Wine Spectator and the Spring 2005 issue of The World of Fine Wine. 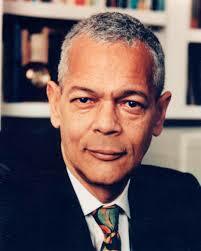 Horace Julian Bond (January 14, 1940 – August 15, 2015), known as Julian Bond, was an American social activist and leader in the Civil Rights Movement, politician, professor, and writer. While a student at Morehouse College in Atlanta, Georgia, during the early 1960s, he helped to establish the Student Nonviolent Coordinating Committee (SNCC). Bond was elected to four terms in the Georgia House of Representatives and later to six terms in the Georgia Senate, having served a combined twenty years in both legislative chambers. From 1998 to 2010, he was chairman of the National Association for the Advancement of Colored People and the first president of the Southern Poverty Law Center. Bond became the first president of the Southern Poverty Law Center in 1971. He served until 1979, remaining a board member and president emeritus for the rest of his life. In 1998, Bond was selected as chairman of the NAACP. In November 2008, he announced that he would not seek another term as chairman. Bond agreed to stay on in the position through 2009, as the organization celebrated its 100th anniversary. 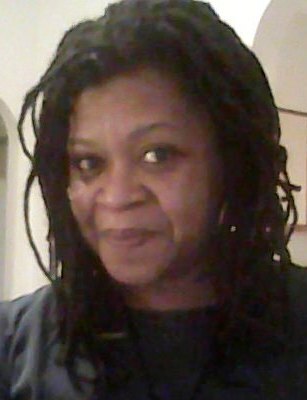 Roslyn M. Brock was chosen as Bond’s successor on February 20, 2010. In a 2007 speech on the Martin Luther King Day Celebration at Clayton State University in Morrow, Georgia, Bond said, “If you don’t like gay marriage, don’t get gay married.” His positions pitted elements of the NAACP against religious groups in the Civil Rights movement who oppose gay marriage. Most resistance came from within the Southern Christian Leadership Conference (SCLC), which was partially blamed for the success of the gay marriage ban amendment in California. On October 11, 2009, Bond appeared at the National Equality March in Washington, D.C., and spoke about the rights of the LGBT community, a speech which was aired live on C-SPAN. He was a strong critic of policies that contribute to anthroprogenic climate change and was amongst a group of protesters arrested at the White House for civil disobedience in opposition to the Keystone XL pipeline in February 2013. On January 10, 1966, Georgia state representatives voted 184–12 not to seat him because he had publicly endorsed SNCC’s policy regarding opposition to U.S. involvement in the Vietnam War. They disliked Bond’s stated sympathy for persons who were “unwilling to respond to a military draft.” A three-judge panel on the United States District Court for the Northern District of Georgia ruled in a 2–1 decision that the Georgia House had not violated any of Bond’s constitutional rights. In 1966, the United States Supreme Court ruled 9–0 in the case of Bond v. Floyd (385 U.S. 116) that the Georgia House of Representatives had denied Bond his freedom of speech and was required to seat him. From 1967 to 1975, Bond was elected to four terms in the Georgia House, where he organized the Georgia Legislative Black Caucus. Bond went on to be elected for six terms in the Georgia Senate, in which he served from 1975 to 1987. After leaving politics, Bond taught at several universities in major cities in the North and South, including American, Drexel, Harvard, and the University of Virginia, where he taught until 2012. Bond was on the Board of Selectors of Jefferson Awards for Public Service. Bolden’s 34-year career with the Marine Corps also included 14 years as a member of NASA’s Astronaut Office. After joining the office in 1980, he traveled to orbit four times aboard the space shuttle between 1986 and 1994, commanding two of the missions and piloting two others. His flights included deployment of the Hubble Space Telescope and the first joint U.S.-Russian shuttle mission, which featured a cosmonaut as a member of his crew. Prior to his nomination as NASA administrator, Bolden was Chief Executive Officer of JACKandPANTHER LLC, a small business enterprise providing leadership, military, and aerospace consulting, as well as motivational speaking.
. Bolden earned a Master of Science degree in systems management from the University of Southern California in 1977. In 1978, he was assigned to the Naval Test Pilot School at Patuxent River, Md., and completed his training in 1979. While working at the Naval Air Test Center’s Systems Engineering and Strike Aircraft Test Directorates, he tested a variety of ground attack aircraft until his selection as an astronaut candidate in 1980. Bolden’s NASA astronaut career included technical assignments as the Astronaut Office Safety Officer; Technical Assistant to the Director of Flight Crew Operations; Special Assistant to the Director of the Johnson Space Center in Houston; Chief of the Safety Division at Johnson (where he oversaw efforts to return the shuttle to flight safely after the 1986 Challenger accident); lead astronaut for vehicle test and checkout at the Kennedy Space Center in Florida; and Assistant Deputy Administrator at NASA Headquarters. After his final shuttle flight in 1994, he left NASA and returned to active duty with Marine Corps operating forces as the Deputy Commandant of Midshipmen at the U.S. Naval Academy. In 1997, Bolden was assigned as the Deputy Commanding General of the 1st Marine Expeditionary Force in the Pacific. During the first half of 1998, he served as Commanding General of the 1st Marine Expeditionary Force Forward in support of Operation Desert Thunder in Kuwait. He was promoted to his final rank of major general in July 1998 and named Deputy Commander of U.S. forces in Japan. He later served as the Commanding General of the 3rd Marine Aircraft Wing at Marine Corps Air Station Miramar in San Diego, Calif., from 2000 – 2002. He retired from the Marine Corps in 2003. Bolden’s many military decorations include the Defense Superior Service Medal and the Distinguished Flying Cross. He was inducted into the U.S. Astronaut Hall of Fame in May 2006. Bolden (USMC-Ret.) was nominated by President Barack Obama and confirmed by the U.S. Senate as the 12th Administrator of the National Aeronautics and Space Administration. He began his duties as head of the agency on July 17, 2009. 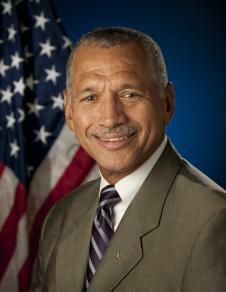 As Administrator, Bolden leads a nationwide NASA team to advance the missions and goals of the U.S. space program. At NASA, Bolden has overseen the safe transition from 30 years of space shuttle missions to a new era of exploration focused on full utilization of the International Space Station and space and aeronautics technology development. He has led the agency in developing a Space Launch System rocket and Orion spacecraft that will carry astronauts to deep space destinations, such as an asteroid and Mars. He also established a new Space Technology Mission Directorate to develop cutting-edge technologies for the missions of tomorrow. During Bolden’s tenure, the agency’s support of commercial space transportation systems for reaching low-Earth orbit have enabled successful commercial cargo resupply of the space station and significant progress toward returning the capability for American companies to launch astronauts from American soil by 2017. Bolden has also supported NASA’s contributions toward development of developing cleaner, faster, and quieter airplanes. The agency’s dynamic science activities under Bolden include an unprecedented landing on Mars with the Curiosity rover, launch of a spacecraft to Jupiter, enhancing the nation’s fleet of Earth-observing satellites, and continued progress toward the 2018 launch of the James Webb Space Telescope, the successor to the Hubble Space Telescope. Donna Brazile, born December 15, 1959 is an American author, academic, and political analyst currently serving as Vice Chairwoman of the Democratic National Committee. She was the first African American to direct a major presidential campaign, acting as campaign manager for Al Gore in 2000. She briefly served as interim Chair for the DNC in the spring of 2011. Currently serves as a CNN political contributor and Democratic strategist, regularly appearing on daily and special programming across the network’s platforms. Brazile is one of the nation’s best-known and most-accomplished political leaders. A veteran of numerous national and statewide campaigns, Donna has worked on nine presidential campaigns, including Carter-Mondale in 1976 and 1980, Rev. Jesse Jackson’s first historic bid for the presidency in 1984, Mondale-Ferraro in 1984, Gephardt for President in 1988, Dukakis-Bentsen in 1988, and Clinton-Gore in 1992 and 1996. The first African-American woman to head a major presidential campaign, Donna has been enmeshed in politics since the age of nine, when she biked from door to door campaigning for a city council candidate who promised to build a playground in her hometown of Kenner, Louisiana. In addition to her work at CNN, Brazile has decades of experience as a political strategist. She first entered the world of politics as a nine-year-old in her native New Orleans, when she successfully went door-to-door on behalf of a City Council candidate who pledged to build a playground. She since has played a role in every presidential campaign from 1976 to 2000. She managed former Vice President Al Gore’s presidential campaign, becoming the first African-American woman in history to lead a bid for the White House. In addition to being the founder and managing director of Brazile & Associates, Brazile currently serves as Vice Chair of Voter Registration and Participation at the Democratic National Committee and is the former chair of the DNC’s Voting Rights Institute. 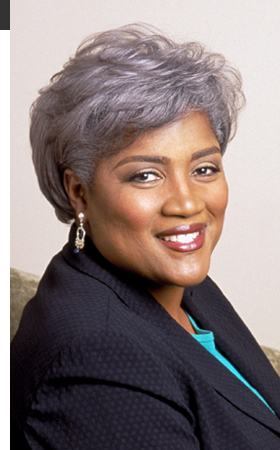 Brazile also is an adjunct professor at Georgetown University and the author of a memoir, Cooking with Grease: Stirring the Pots In American Politics, as well as regular columns for United Media and Ms. Magazine. She has received numerous awards and accolades, including the Congressional Black Caucus Foundation’s highest award for political achievement and spots on The Oprah Magazine’s first “O Power List,” Washingtonian magazine’s “100 Most Powerful Women” and Essence magazine’s “Top 50 Women in America.” Brazile holds honorary doctorate degrees from Louisiana State University and Xavier University of Louisiana. Donna has received numerous awards and honors, including Washingtonian Magazine’s 100 Most Powerful Women in Washington, D.C. and the Congressional Black Caucus Foundation’s Award for Political Achievement. Dovey Johnson Roundtree (born April 17, 1914) is an African American civil rights activist, ordained minister, and attorney. 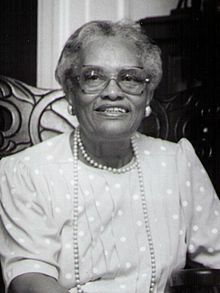 Her 1955 victory before the Interstate Commerce Commission in the first bus desegregation case to be brought before the ICC resulted in the only explicit repudiation of the separate but equal doctrine in the field of interstate bus transportation by a court or federal administrative body. That case, Sarah Keys v. Carolina Coach Company (64 MCC 769 (1955)), which Dovey Roundtree argued with her law partner and mentor Julius Winfield Robertson, was invoked by Attorney General Robert F. Kennedy during the 1961 Freedom Riders’ campaign in his successful battle to compel the Interstate Commerce Commission to enforce its rulings and end Jim Crow in public transportation. A protégé of black activist and educator Mary McLeod Bethune, Roundtree was selected by Bethune for the first class of African American women to be trained as officers in the newly-created Women’s Army Auxiliary Corps (later the Women’s Army Corps during World War II. In 1961 she became one of the first women to receive full ministerial status in the African Methodist Episcopal Church, which had just begun ordaining women at a level beyond mere preachers in 1960. With her controversial admission to the all-white Women’s Bar of the District of Columbia in 1962, she broke the color bar for minority women in the Washington legal community. In one of Washington’s most sensational and widely-covered murder cases, United States v. Ray Crump, tried in the summer of 1965 on the eve of the Watts riots, Roundtree won acquittal for the black laborer accused of the murder of Georgetown socialite (and former wife of a CIA officer) Mary Pinchot Meyer, a woman with romantic ties to President John F. Kennedy. Gilbert Edward “Gil” Noble (February 22, 1932 – April 5, 2012) was an American television reporter and interviewer. He was the producer and host of New York City television station WABC-TV’s weekly show, Like It Is, originally co-hosted with Melba Tolliver. The program focused primarily on issues concerning African Americans and those within the African diaspora. He was born in Harlem, New York and raised by his parents who were Jamaican immigrants Gil and Iris Noble. After graduating from the City College of New York he worked for Union Carbide. 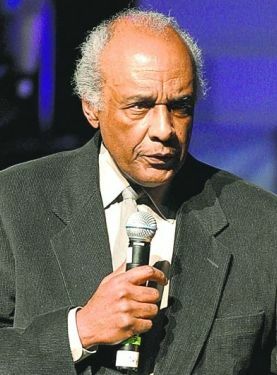 In 1962 he got his professional break into broadcast media when he was hired as a part-time announcer at WLIB radio. He began reading and reporting newscasts. Noble joined WABC-TV in July 1967 as a reporter, after reporting on the 1967 Newark riots. Starting in January 1968 he became an anchor of its Saturday and Sunday night newscasts. He became host of Like It Is a few months prior to the rebranding of the station’s newscasts as Eyewitness News in November 1968. In addition, he was an occasional interviewer on some of WABC’s other public affairs shows, such as Eyewitness Exclusive. 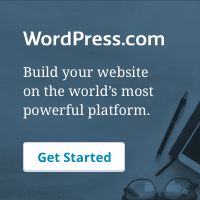 From 1986 on, Noble concentrated exclusively on Like It Is. Noble also created documentaries on such topics as W. E. B. Du Bois, Malcolm X, Fannie Lou Hamer, Ella Baker, Decade of Struggle, Martin Luther King Jr., Adam Clayton Powell, Jr., Jack Johnson, Charlie Parker and the documentary Essay on Drugs. In 1977, he wrote, directed and produced the first documentary on Paul Robeson, entitled The Tallest Tree in Our Forest. In 1973, Noble reported (for local TV station WABC channel 7) on the first mobile cellular phone invented by Marty Cooper from the NY Hilton in New York. In 1981, he wrote an autobiography, Black is the Color of My TV Tube. He was a member of the board of directors of the Jazz Foundation of America, hosting the 2001, 2002, 2003, 2004 and 2007 “A Great Night in Harlem” Concert/Benefit for The Jazz Foundation to support The Musicians Emergency Fund. Noble won seven Emmy Awards and 650 community awards, and was granted five honorary doctorates. In July 2011, Noble suffered a serious stroke. In late September, his family announced that he would not be returning to host Like It Is. The program ended its 43-year run the following month. His television station, WABC-TV, announced his death on April 5, 2012. Richard D. Parsons, born April 4, 1948 is Chairman of the Board of Citigroup Inc., effective February 23, 2009. Citigroup Inc. (Citigroup) is the 8th largest company in the U.S. Prior to joining Citi, Mr. Parsons served in the positions of President, Chief Executive Officer and Chairman at Time Warner, whose businesses include filmed entertainment, interactive services, television networks, cable systems and publishing. From May 2002 to December 2007, Mr. Parsons served as Time Warner’s Chief Executive Officer. He became Chairman of the Board in May 2003. As CEO, Mr. Parsons led Time Warner’s turnaround and set the company on a solid path toward achieving sustainable growth. In the process, he put in place the industry’s most experienced and successful management team, strengthened the company’s balance sheet and simplified its corporate structure, and carried out a disciplined approach to realigning the company’s portfolio of assets to improve returns. In its January 2005 report on America’s Best CEOs, Institutional Investor magazine named Mr. Parsons the top CEO in the entertainment industry. Before becoming CEO, Mr. Parsons served as the company’s Co-Chief Operating Officer, overseeing its content businesses-Warner Bros., New Line Cinema, Warner Music Group and Time Warner Book Group-as well as two key corporate functions: Legal and People Development. Mr. Parsons joined Time Warner as its President in February 1995, and has been a member of the company’s Board of Directors since January 1991. As President, he oversaw the company’s filmed entertainment and music businesses, and all corporate staff functions, including financial activities, legal affairs, public affairs and administration. Before joining Time Warner, Mr. Parsons was Chairman and Chief Executive Officer of Dime Bancorp, Inc., one of the largest thrift institutions in the United States. Previously, he was the managing partner of the New York law firm Patterson, Belknap, Webb & Tyler. Prior to that, he held various positions in state and federal government, as counsel for Nelson Rockefeller and as a senior White House aide under President Gerald Ford. Mr. Parsons received his undergraduate education at the University of Hawaii and his legal training at Union University’s Albany Law School. Mr. Parsons’ civic and non-profit commitments include Co-Chairman of the Mayor’s Commission on Economic Opportunity in New York; Chairman Emeritus of the Partnership for New York City; Chairman of the Apollo Theatre Foundation and service on the boards of Howard University, the Museum of Modern Art and the American Museum of Natural History. He also serves on the boards of Citigroup and Estée Lauder. Parsons was born in Brooklyn, New York on to an electrical technician and a homemaker. He grew up in the Bedford-Stuyvesant area of Brooklyn. 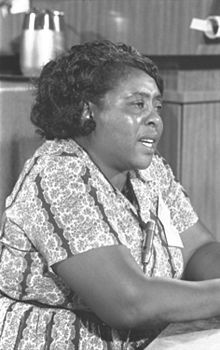 Fannie Lou Hamer (born Fannie Lou Townsend; (October 6, 1917 – March 14, 1977) was an American voting rights activist and civil rights leader. She was instrumental in organizing Mississippi Freedom Summer for the Student NonviolentCoordinating Committee (SNCC), and later became the Vice-Chair of the Mississippi FreedomDemocratic Party, attending the 1964 Democratic National Convention in Atlantic City, New Jersey, in that capacity. Her plain-spoken manner and fervent belief in the Biblical righteousness of her cause gained her a reputation as an electrifying speaker and constant activist of civil rights. Mandela joined the African National Congress in 1942. For 20 years, he directed a campaign of peaceful, non-violent defiance against the South African government and its racist policies, including the 1952 Defiance Campaign and the 1955 Congress of the People. He founded the law firm Mandela and Tambo, partnering with Oliver Tambo, a brilliant student he’d met while attending Fort Hare. The law firm provided free and low-cost legal counsel to unrepresented blacks. In 1961, Mandela, who was formerly committed to nonviolent protest, began to believe that armed struggle was the only way to achieve change and subsequently co-founded Umkhonto we Sizwe, also known as MK, an armed offshoot of the ANC dedicated to sabotage and guerilla war tactics to end apartheid, and orchestrated a three-day national workers’ strike. He was arrested for leading the strike the following year and sentenced to five years in prison. Then, in 1963, he was brought to trial again. This time, he and 10 other ANC leaders were sentenced to life imprisonment for political offenses, including sabotage. 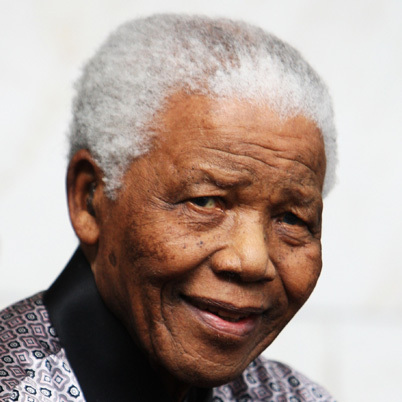 while incarcerated, Mandela was able to earn a Bachelor of Law degree through a University of London correspondence program. A 1981 memoir by South African intelligence agent Gordon Winter described a plot by the South African government to arrange for Mandela’s escape so as to shoot him during the recapture. The plot was foiled by British intelligence, however. Mandela continued to be such a potent symbol of black resistance that a coordinated international campaign for his release was launched, and this international groundswell of support exemplified the power and esteem Mandela had in the global political community. In 1982, Mandela and other ANC leaders were moved to Pollsmoor Prison, allegedly to enable contact between them and the South African government. In 1985, President P.W. Botha offered Mandela’s release in exchange for renouncing armed struggle; the prisoner flatly rejected the offer. With increasing local and international pressure for his release, the government participated in several talks with Mandela over the years, but no deal was made. It wasn’t until Botha suffered a stroke and was replaced by Frederik Willem de Klerk that Mandela’s release was finally announced, on February 11, 1990. Upon his release from prison, Nelson Mandela immediately urged foreign powers not to reduce their pressure on the South African government for constitutional reform. While he stated that he was committed to working toward peace, he declared that the ANC’s armed struggle would continue until the black majority received the right to vote. In 1991, Mandela was elected president of the African National Congress, with lifelong friend and colleague Oliver Tambo serving as national chairperson. Mandela continued to negotiate with President F.W. de Klerk toward the country’s first multiracial elections. White South Africans were willing to share power, but many black South Africans wanted a complete transfer of power. The negotiations were often strained and news of violent eruptions, including the assassination of ANC leader Chris Hani, continued throughout the country. Mandela had to keep a delicate balance of political pressure and intense negotiations amid the demonstrations and armed resistance. In 1993, Mandela and South African President F.W. de Klerk were jointly awarded the Nobel Peace Prize for their efforts to dismantle the country’s apartheid system. In 1994, Mandela was inaugurated as South Africa’s first black president. In 2009, Mandela’s birthday (July 18) was declared Mandela Day to promote global peace and celebrate the South African leader’s legacy.